To make up for missed days during last week's historic snowfall, several Seattle-area school districts are relying on snow days built into their school-year calendars. Others will ask the state education office for waivers that allow districts to omit makeup days so long as they don't fall short of the state's minimum instructional-hour time requirement. Amid a series of snowstorms that brought the Puget Sound region to a standstill, staff and volunteers at Northshore School District ventured out into neighborhoods and mobile home parks, knocked on doors and delivered 2,500 meals to families this week. That same day, they opened up a middle school to serve hot meals, prepped by staff eager to help. Families who couldn’t reach the school were delivered food. And when the district nonprofit Northshore Schools Foundation was notified, it pulled together food from local restaurants. In a week of canceled and delayed school that wreaked havoc on parents’ schedules, the 23,000-student district’s speedy meals-on-wheels plan was a small success story. But after midwinter break this week, Northshore — which clocked eight snow days this month — and other districts will have to adjust their schedules to make up the days, and take stock of their winter weather protocol. To make up the missed days due to snow, districts are evaluating their options. Puyallup School District, Northshore School District and Tacoma School District plan to apply for snow-day waivers from the state education office. The waivers allow districts to omit makeup days so long as they don’t fall short of the state’s minimum instructional-hour time requirement for the school year. Many districts already have a couple of snow days built into the school year. 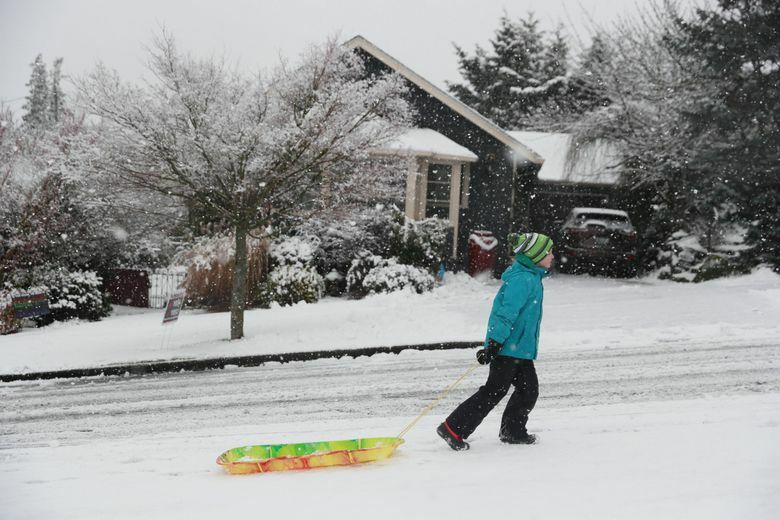 Seattle, with five days to account for, is tapping its built-in snow days, and is considering an application for a waiver. High-school graduation dates are staying put for now, and district officials should have more news in about a month, a spokesman said. Officials at the Tukwila School District used one of three built-in snow days to make up for the first day of their teacher strike. The district also tapped into its midwinter-break days to cover the remaining strike days. A spokeswoman said they’re holding off on making any recommendations for changes now. “When a winter storm hits, or any other major event, the thing to remember is that school closures are what trigger other closures,” said Cate Brewe, a Seattle-based licensed mental health counselor who works with food-insecure and homeless families. That can often mean food banks are closed, too, which is why Northshore’s delivery approach was so helpful, said Brewe. Families that budget around the free and reduced-price lunches their children receive at school “often have no flexibility.” Brewe said she recently had to remotely pay for a grocery store gift card for a family in Everett that was “down to a couple of cans of green beans and bread” during the storm. And with many preschool and child-care facilities also tying their schedules to schools, no classes was a hardship for working parents. 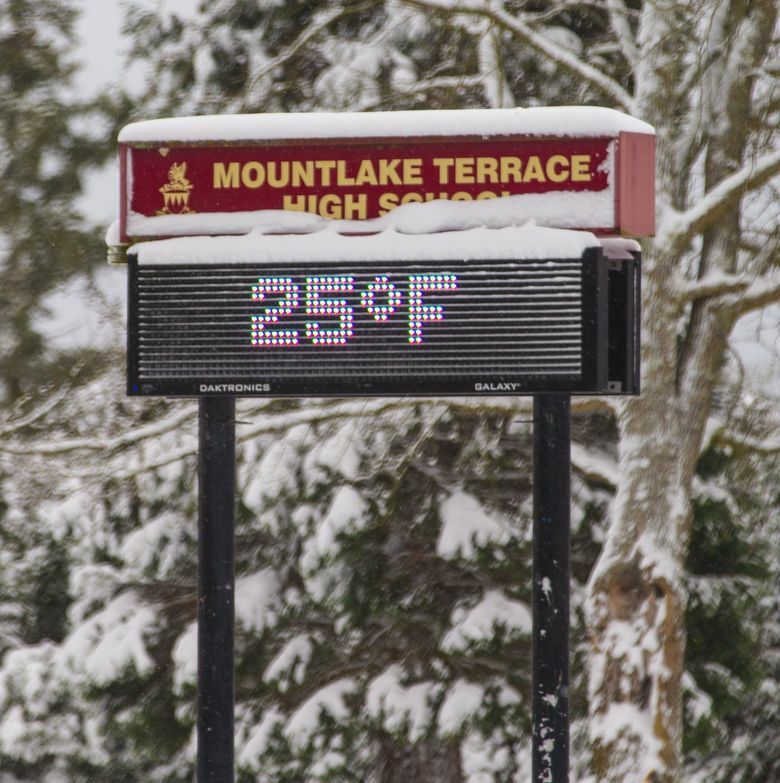 Many who responded to the survey also questioned Seattle Public Schools’ reasoning for shuttering schools Wednesday, and mentioned seeing snow on sidewalks in front of schools when the district reopened Thursday. Seattle Public Schools officials consider a number of factors before canceling school, said Stephen Nielsen, deputy superintendent of the district and the person who makes the final call on snow days. He said the district has a limited number of custodians, “and very little money to run around making sure our walkways are clean.” About a third of the district’s teachers live outside of the city, too, and buses need to be able to safely drive up to curbs. Hazards on side streets and walking paths to school are also a consideration. “Safety is a concern. We don’t want anyone hurt or worse on the way,” he said. Parent Ayan Elmi appreciates the district’s caution, but criticized how the district has handled transportation for special-needs students on late-start and early-release days. Elmi and other parents of students receiving special education services were unaware that families had to opt in to receive bus service on snow-route days through a form. Her son, Zakaria, who has autism, and her daughter, Safiyo, ride a special education bus to Dearborn Park International Elementary School. Elmi, who lives in Rainier Beach, doesn’t have access to a car, so when a bus doesn’t come, her kids can’t attend school. So far this year, they’ve missed five days. “I get the homework from teachers, and we do drawing and painting, I have a whiteboard — but there’s only so much you can do being cooped up in the house,” she said. To receive special-education bus service on snow days, parents were required to fill out a form in October. When many pointed out they weren’t aware of that requirement last week, the district resent the form and allowed parents to submit a request again.